This C.P. 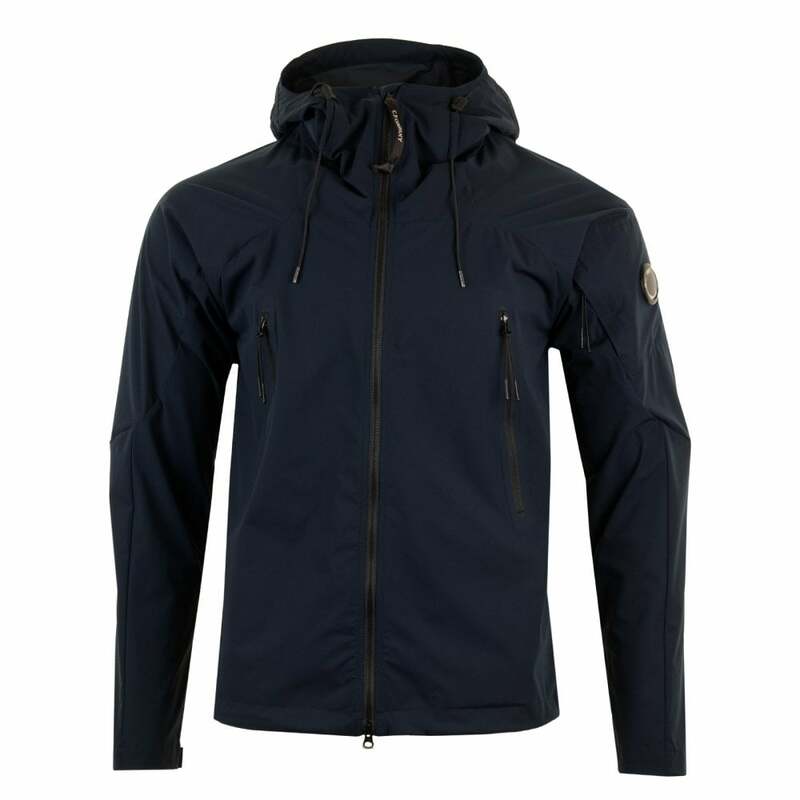 Company Pro Tek Jacket has a 100% polyester outer and is navy in colour. It is lightweight and weather-resistant. It is hooded with an elsaticated toggle drawstring, has a full zip fastening and zip fastened pockets on the front and right sleeve. The cuffs have adjustable popper-fastened straps and the hem has an elasticated toggle drawstring. C.P. Company branding appears on a trademark goggle lens on the sleeve pocket and on the zip tag.